Enter specific science words or phrase in chemistry, physics or biology e.g. topic, formula, compound, reaction, module, unit, examination board course, structure, homework question! in fact anything of scientific interest! Save a short version of my homepage to laptop, desktop pc, any high-end mobile phone device, tablet etc. 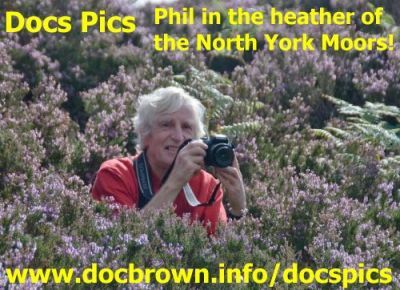 Above are links to the main sections of Doc Brown's Chemistry's website, these in turn link to other sub-indexes from which I hope you will bookmark useful and relevant links for your science course. At the top and bottom of all revision notes pages of Doc Brown's Chemistry are more detailed sets of navigation bar buttons to which you should make yourself familiar. The Google search engine is dedicated to Doc Brown's Chemistry's website putting in 'anything of interest' and you can put in multiple words to get the best page match from Doc Brown's website. "Doc Brown's Chemistry" is a website designed for UK science students studying GCSE Biology, GCSE/IGCSE Chemistry, GCSE Physics and Advanced Level Chemistry. My website covers the current science syllabus specifications from AQA, Edexcel and OCR examination boards. This science revision e-learning website includes notes & quizzes for chemistry, but includes some biology and physics too AND lots of 'unofficial' revision summaries for ALL the current GCSE Sciences (links below). The new GCSE specifications starting in September 2016 will be eventually covered completely by Doc Brown's Chemistry plus biology and physics revision notes and specification summaries. Mar 24th Introduction to the organisation of cells => tissues => organs => organ systems Mar 30th Food tests for reducing sugars, starch, proteins and lipids April 3rd The human circulatory system - heart, lungs, blood, blood vessels, causes/treatment of cardiovascular disease April 8th Keeping healthy - communicable diseases April 11th Keeping healthy - non-communicable diseases April 22nd 13. The City of Lincoln - High Street, The Strait and Steep Hill - history and buildings 14. Lincoln Cathedral - architecture and history 15. Roman Lincoln, The Collection Museum and the Usher Art Gallery 16. Lincoln - other buildings and sights 17. Lincoln Castle and Victorian Gaol April 23rd 4. The North Wales coast road to Holyhead and the ferry to Dublin, Ireland 5a. Holyhead - town, station and Roman Fort, on Anglesey 5b. St Cybi's Church, Holyhead, Angelesey 5c. Penmaenmawr on the North Wales Coast 6a. Conwy (1) The Town 6b. Conwy (2) Conwy Castle 7a. Llandudno Town * 7b. The Great Orme above Llandudno 8. South Stack area on the island of Anglesey (Lighthouse and Coastal Retreat cottages ? Enter words e.g. topic, module, exam board, science course, formula, compound, reaction, structure, concept, equation, 'phrase', homework question! anything of chemical interest!